The history of Pirelli HangarBicocca is closely linked to that of Breda, a company incorporated in 1886 by Ingegner Ernesto Breda, who moved it to the Bicocca district from 1903. Pirelli, Falck and Marelli followed suit with their own companies, thus turning the area into one of the most important industrial centres in Italy. In the new 200,000m² factory, Breda mainly manufactured railway carriages, electric and steam locomotives, boilers, farm machinery and equipment and, during the First World War, aeroplanes, projectiles and other products for the war effort. One of these factory buildings was Pirelli HangarBicocca, which at the time was divided into blocks of different types, origin and size. 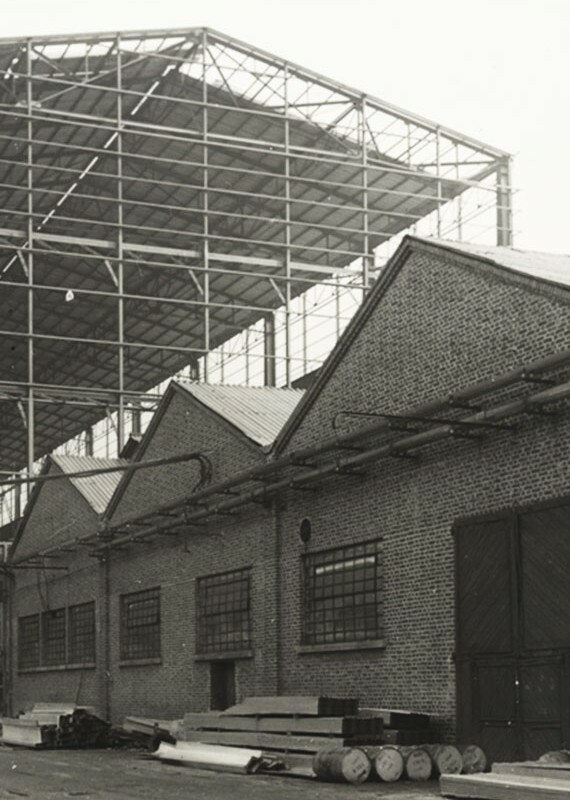 The “Shed“, for example, a typical low bare-brick factory building with double-pitched roof and large skylights, is already quite recognisable in photos dating from the first half of the 1920s. It was here that components for locomotives and farm machinery were manufactured. 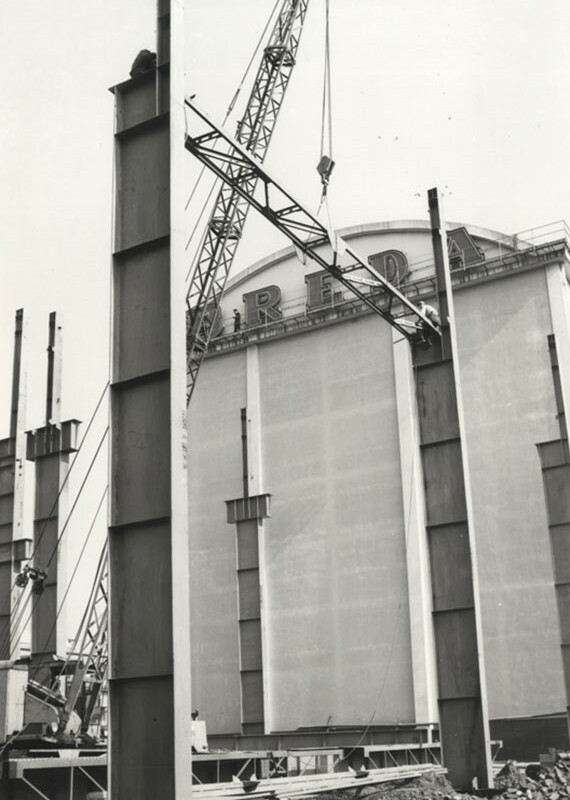 In 1955 Breda Elettromeccanica e Locomotive enlarged its premises with the addition of a cubic barrel-vaulted building which is now the Cubo exhibition space of Pirelli HangarBicocca. The huge building that joins the Shed and the Cubo, which is today called “Le Navate”, was constructed between 1963 and 1965 for the transformers department. It was here that high-powered machines were assembled and tested. The building, which has retained its original dimensions – 9500 m² with a height of about 30 metres – consists of a “nave” and two aisles. Since 2004, one of these has been home to The Seven Heavenly Palaces by the German artist Anselm Kiefer. Storage facilities and sheds were demolished in about 2000 to create the garden where Fausto Melotti’s La Sequenza has been since 2010. In the early 1980s, Breda was taken over by the Ansaldo Group and, almost at the same time, the historic industrial areas gradually began to be decommissioned. The Bicocca district then underwent an almost total urban redevelopment. The Bicocca Project, which was launched in 1986, led to the creation of university buildings, administration centres and private housing around the Teatro degli Arcimboldi, as well as to the redevelopment of the old Pirelli factory buildings. After a decade of neglect, Pirelli HangarBicocca (formerly known as Ansaldo 17) was purchased by Prelios, the former Pirelli RE, which in 2004 decided to turn it into an exhibition space for contemporary art.